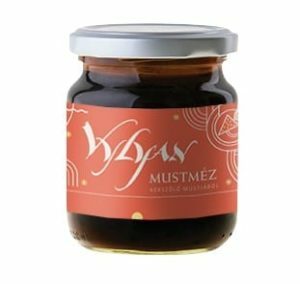 Vylyan Verjus - the green grape juice directly from the winery! In August 2017 we harvested unripe, green grapes on the Vylyan estate, from which we made our own Verjus. 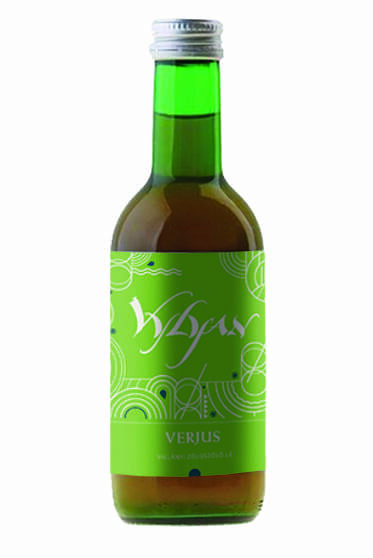 Verjus (pronounciation:vɛʀʒy) is the French name of the natural verjuice pressed from green grapes, composed from the words “vert” (green) and “jus” (juice). Owing to their acids and succulent sourness, fresh grapes are excellent additions to lemonades or fresh salads, and the intense-flavoured verjuicecan also be used universally as a vinegar or lemon substitute. Diluted 1:10, we get an excellent refreshment and as a salad dressing it is not only delicious but also very healthy as well. Blend the ingredients with a mixer or al whisk and a wonderful dressing for fresh salad is done. Serves as an excellent refreshment when diluted 1:10 with soda or mineral water. It can be decorated with mint leaves.